Another A-Rod Popcorn Photo Emerges | That's Twins Baseball. A Minnesota Twins Blog. To be honest I don’t mind Derek Jeter…but this was too easy. I wonder if Cameron has to put A-Rod’s socks on for him in the morning or even worse, change his diaper? Popcorn? Socks? Diapers? Nah, what I want to know is who’s loading his syringes before games………. 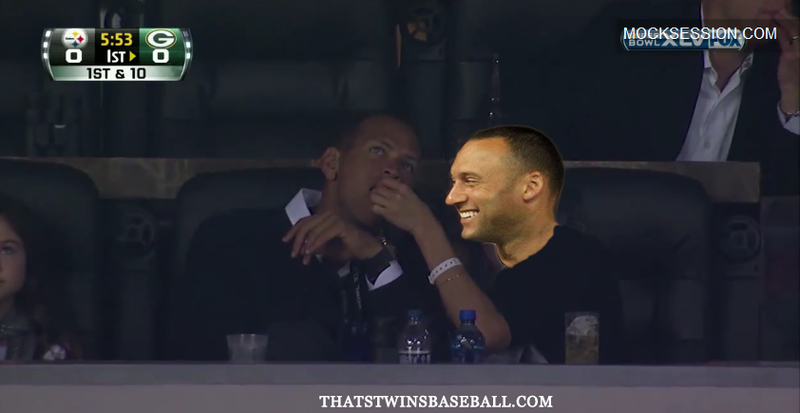 But really, it should be A-Rod feeding another A-Rod popcorn.